The Divinia Water clinical trial at NUNM’s Helfgott Research Institute has been officially approved by the Institutional Review Board (IRB)! “To get a fully accredited university on board for this study is extraordinary,” said Steven Sedlmayr, CEO of Divinia Water. 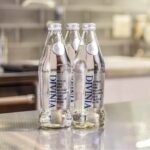 “We can do a medically approved clinical test on DIVINIA Water’s potential benefits for specific patients. This is the first of its kind, to my knowledge, it’s never been done before.” Read more from the PR Newswire story here.